There has been increased publicity and recognition of the hazards associated with opiate use and addiction in recent years, and despite this enhanced recognition, complications from opiate use are continuing to rise. This summary will highlight the opioid epidemic and the scope of this problem in Canada. 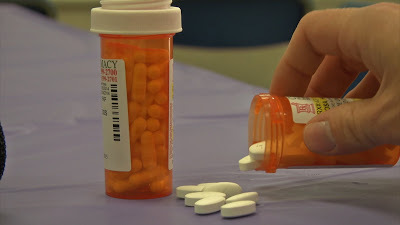 As Emergency physicians we prescribe opioids to our patients on a regular basis and we commonly deal with patients who are dependent on these medications. Fentanyl has become the leading cause of opioid deaths in Ontario for the first time since Canada’s prescription painkiller crisis begin more than an decade ago. From 2005-2011 there was a 250% increase in the number of ER visits in Ontario related to narcotics (including withdrawal, overdose, intoxication, psychosis, harmful use and other related diagnoses). Data from the Office of the Chief Coroner shows that opioid-related deaths in Ontario increased dramatically from 2004-2011. In particular, deaths related to oxycodone increased from less than 60 in 2004, to 160 in 2011. Deaths related to fentanyl also increased substantially over this period. The overall rate of opioid-related mortality increased by 242% between 1991 and 2010. There is mounting evidence that physicians certainly over-prescribe narcotics to patients abusing, or whom are likely to abuse these medications, contributing to the associated morbidity and mortality attributed to these drugs. This may be an instinctive reaction to the perception that physicians tend to under-treat pain in patients. However, a more appropriate suggestion is that physicians are under-treating pain in patients who require analgesia, and are over-utilizing narcotics in those that do not require it. Perhaps the most important step to begin to ameliorate the opioid epidemic is physician recognition, and appropriate prescribing practices. Note: These recommendations made by the CDC focus on the use of opioids in treatment chronic pain, the guideline is not intended for patients who are undergoing active cancer therapy, palliative or end-of-life care. Narcotics have an high associated medical-legal risk, and account for 35% of CMPA cases involving medication issues. The majority of College complaints allege deficient assessments prior to prescribing, and failure to address risk factors for addiction. Over 95% of College complaints involving opioids have unfavourable outcomes for physicians, resulting in verbal or written cautions, or disciplinary action with required remediation or loss of ability to prescribe narcotics. All the unfavourable outcomes were for MDs who did prescribe when there were clear red flags for potential abuse. All of the Colleges, including the CPSO, refer to the McMaster guidelines for use of opioids for chronic non-malignant pain. 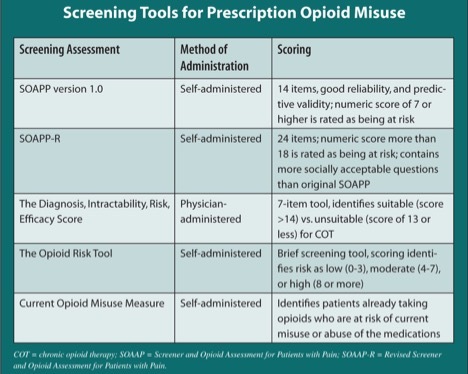 The CPSO requires Emergency Physicians to include a score for risk of addiction, for example the Opioid Risk Tool (ORT). Enquire with your patient if they have received narcotics in the last 30 days. Note that: it is a federal offence not to disclose this information. If a patient alleges that their prescription or medications were stolen, ask for a police report prior to prescribing again. Obtain any potential collateral information from pharmacy, family physicians or old records. Document your assessment and plan clearly (especially when the patient contradicts your findings). Because they are on long term narcotics, they need to have one prescriber, have random drug screens, and be on a narcotic contract – which can be terminated by their primary provider if they have received narcotics from another prescriber. When prescribing opioids, only give a short supply (for 3-5 days). Warn the patient that this is an one-time only event, and that you will be communicating with their primary prescriber (and ensure that you do!). Document this conversation, and the expectations for future ER visits. 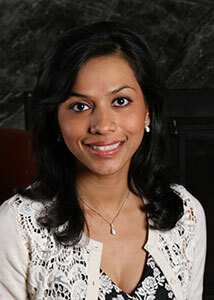 Dr. Ayesha Zia is an 3rd year Emergency Medicine resident at the University of Ottawa. 2. Chang et al. (2014) Prevalence and treatment of pain in EDs in the United States, 2000 to 2010. Amer J of Emergency Med 32: 421-31. 3. Daubresse et al. (2013) Ambulatory diagnosis and treatment of nonmalignant pain in the United States, 2000-2010. Medical Care 51: 870-878. 5. D’onofrio et al. (2015) Emergency department-initiated buprenorphine/naloxone treatment for opioid dependence: a randomized clinical trial. JAMA. 313(16):1636-1644. 6. Fischer and Argento (2012) Prescription opioid related misuse, harms, diversion and interventions in Canada: A review. Pain Physician 15:ES191–ES203. 7. Fischer et al. (2016) Illicit drug use and harms, and related interventions and policy in Canada: A narrative review of select key indicators and developments since 2000. Int J Drug Policy 27:23-35. 10. Gomes et al. (2014) The burden of premature opioid-related mortality. Addiction109:1482-1488. 12. 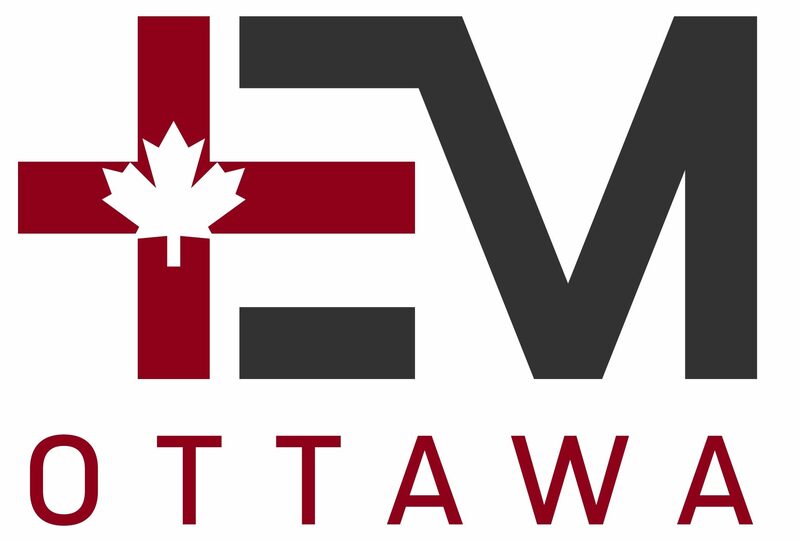 Health Canada. (2012). Canadian Alcohol and Drug Use Monitoring Survey (CADUMS). Ottawa, Ont. : Author. Retrieved from www.hc-sc.gc.ca/hc-ps/drugs-drogues/cadums-esccad-eng.php. 13. Health Canada. (2014). Monitoring of Alcohol and Drug Use among High-Risk Populations Study (HRPS): Street-entrenched adult drug users, street-involved youth drug users and recreational drug users — Prevalence results 2012–2013. Ottawa, Ont. : Author. 14. Hoppe et al. (2015) Association of emergency department opioid initiation with recurrent opioid use. Ann Emerg Med 65 (5):493-499. 15. Jones et al. (2014) Sources of prescription opioid pain relievers by frequency of past-year nonmedical use United States, 2008-2011. JAMA Int Med. 174: 802-803. 16. Jozaghi and Andresen (2013) Should North America’s first and only supervised injection facility (InSite) be expanded in British Columbia, Canada? Harm Reduct J.10:1. 18. Martins et al. (2015) Worldwide Prevalence and Trends in Unintentional Drug Overdose: A Systematic Review of the Literature. Am J Public Health. 105(11):e29-49. 19. Mazer-Amershahi et al. (2014) Rising opioid prescribing in adult U.S. emergency department visits: 2001-2010. Acad Emerg Med. 21:236-243. 20. Potier et al. 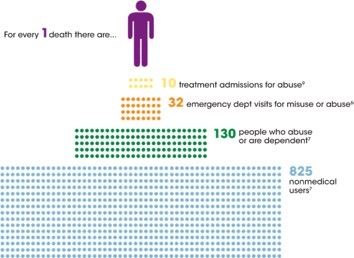 (2014) Supervised injection services: what has been demonstrated? A systematic literature review. Drug Alcohol Depend. 145:48-68. 21. Rudd et al. (2015) Increases in Drug and Opioid Overdose Deaths — United States, 2000–2014. Morbidity and Mortality report, CDC 64(50): 1378-1382. 22. Sproule et al. (2009) Changing patterns in opioid addiction: characterizing users of oxycodone and other opioids. Can Fam Physician 55: 68–69. 23. Statistics Canada. (2015). Canadian Tobacco, Alcohol and Drugs Survey: Summary of results for 2013. Ottawa, Ont. : Author. Retrieved from healthycanadians.gc.ca/science-research-sciences-recherches/data-donnees/ctads-ectad/summary-sommaire-2013-eng.php. 24. Wightman et al. (2012) Likeability and abuse liability of commonly prescribed opioids. J. Med Toxicology 8:335-340.